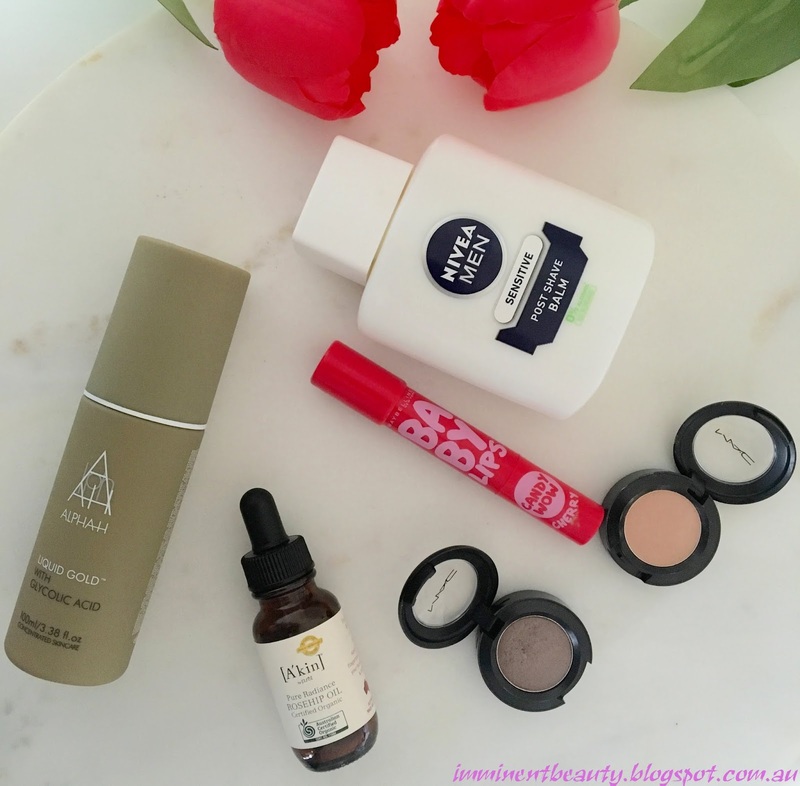 Picked out a few products that I was loving last month to show you. Skincare wise to combat my dry skin I've been alternating between the Alpha H Liquid Gold and A'kin Rosehip Oil at night. It seems to be doing the trick by exfoliating off the dry skin with the Liquid Gold and repairing and hydrating with the Rosehip Oil. The Nivea Mens Post Shave Balm is my new go-to primer and I'm absolutely loving it - you can read my review here but it's silky soft, super hydrating and makes foundation super easy to blend. On my recent trip home to New Zealand I picked up two single Mac eye shadow pans in Satin Taupe and Grain and I wear them most days for a simple defined eye look. To top it off the Maybelline Baby Lips Candy Wow Cherry is the perfect tinted lip balm for cold days and chapped lips. I'd love to know what products you're loving this winter - feel free to comment or link down below.